I was beyond impressed with the submissions this year. Each traveler was successful in telling a story with their photos, whether that story be one of wild adventure, family reunion or a coming together of friends. Each conveyed a curiosity, vigor and excitement for life. With over 500 traveler photos to sort through it was a tough job, but the results are incredible. Take a look at the official 2015 Annual South America Travel Photography Contest results! See our top three picks for Adventure, Cityscape, Culture, Fauna, Flora, Landscape/Scenery and Portrait below and scroll to the bottom to find out who won the Knowmad Adventures Grand Prize – a 3 day / 2 night stay at the Reserva Amazonica Jungle Lodge (valued at $545). Thank you to all of our Knowmad travel photographers for a fantastic year! Paragliding in Lima was just one of many adventurous excursions Debra and Lauren Gagner enjoyed during their custom trip to Peru this past April. What better way to explore Chile than by horseback? 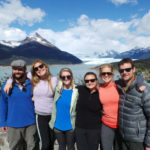 This photo was taken during Dave and Barb’s stay at Explora Lodge lodge in Torres del Paine National Park. 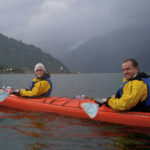 Climbing, mountain biking, hiking part of the Inca Trail and more, these two had a wonderfully active and adventurous trip to Peru last September! A terrific shot of Cusco’s famous Spanish colonial architecture against popcorn clouds in the blue sky. Just outside the front door of the hotel in Yuca, Peru, they found that they had to share the road. I love the movement in this photo taken on a custom trip to Ecuador during Colby and Andrea’s stay at Napo Wildlife Center, the only lodge located in the Yusuní National Park boundaries. This has to be one of my favorite traveler photos of all time, you just can’t help but smile. Taken on a phenomenal trip to Ecuador with the Macalester Alumni Group. As Daniel put it, a “fairly grotesque one from the Cusco market but hey, we were in Peru!” This one definitely has the shock factor! A wonderful moment captured at a chagra show hosted by Hacienda Alegria in Ecuador. After Hannah and Kurt completed their four day Inca Trail hike to Machu Picchu they received a friendly greeting. A surreal look at the Ecuadorian jungle taken during Colby and Andrea’s custom trip to Ecuador and the Galápagos Islands. An up-close and personal look at the largest living species of tortoise, frequently seen on trips to the Galápagos. I’m in awe of this photo, done with impeccable timing and focus. This was taken in the Amazon Jungle in Peru before staying at the Inkaterra Reserva Amazonica Lodge. Beautiful colors captured during a trip to the Amazon Jungle in Peru. Peruvian wildflowers adorned this home, bringing joy to all who see their beautiful and vibrant colors. A phenomenal photo taken on the big, fun friend-group trip Mary and others took to Peru last year. It’s hard to describe just how you feel when surrounded by such untouched natural beauty. “A walk into Valley de la Luna makes you feel like you’re out of this world. The sands are so red, the winds so strong, and the salts so white,” says Becca of their incredible experience in the Atacama Desert of Chile. I had so much fun sifting through all of these breathtaking photos the past couple of weeks that I decided to make a 2015 Knowmad Adventures Traveler’s Best Of Photo Album on Facebook to showcase some of my other favorites. Click the link or photo above to take a look at other top contenders in the year’s contest. Thank you again to all who took the time to send in their photos! The sunlight reflecting off the majestic peaks was captured perfectly during Lisa’s custom trip to Chile. Congratulations, Lisa and Antony! An especially well-done photo of a classic Patagonian landscape. Thank you for your submission. You are the winner of a 3 day / 2 night stay at the Reserva Amazonica Jungle Lodge (valued at $545) in Peru! Another successful South America travel photography year in the books. Thanks again to all Knowmad travelers!